And yet another book is out! In this case it’s my Superheroes and Worldbuilding book. 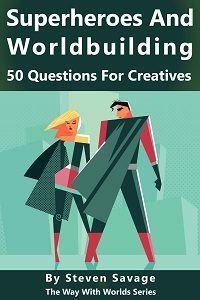 I’m continuing my mini-worldbuilding books with one on Superheroes (and it mostly focuses specifically on heroes – villains may be forthcoming). So if you’re thinking about a setting with capes and heroics, give it a check!